All the ladies out there want to know where and how to find the fountain of youth. Am I right? We are bombarded with advertisements for night creams, serums, articles about how to keep you skin looking timeless and healthy. It does work. It does. At KTD we are now even offering Botulinum Toxin (also know as Botox) to soften wrinkles, relax the muscles of facial expression that can be causing tension and oral facial pain, and can help make you look refreshed. I recently stumbled upon articles about massaging and manipulating your facial muscles to prevent them from sagging with age. The face is made up of over 40 muscles and they too need to be used, massaged, manipulated, exercised, just like any other muscle if we want to keep it tight and firm. I found videos about massaging the area above the eyebrows, under the cheek bones, along the jaw line and tried it out myself. Boy they were all tender! It was actually slightly uncomfortable but I do feel as if I am seeing the muscles relax with continued massage and exercise to the above mentioned areas. Not to mention, less headaches! It doesn't take long, about 2 minutes a day, that is just as long as it takes you to brush your teeth. Start by washing your hands and then applying pressure to the area above the eyebrows, under the cheekbones, across the jawline. 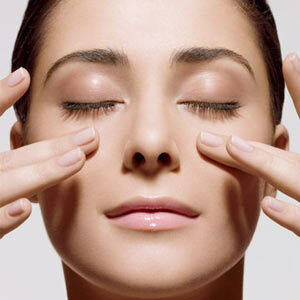 Make sure to use your muscles of facial expression to give them an exercise while applying the massaging pressure. Don't do this at the gym or right after. Touching contaminated surfaces and then touching your face is never a good idea! Facial massage has been a beauty trick in Asian culture for years. It doesn't have to be their secret any longer! I'll try to find some of those videos and post in future blogs demonstrating how exactly to work these muscles to continue to look youthful and timeless for years to come. Thanks for reading! Newer PostWhat is this bubble in my gums? Older PostBotulinum Toxin? Yes, really!